Jefferson Geiger is a copy editor for the Summit Daily News. He kindled his passion for storytelling at Colorado State University in Fort Collins as the senior entertainment reporter for their student newspaper, the Rocky Mountain Collegian, while earning a bachelor’s degree in journalism. Originally from Pennsylvania, he and his family moved to Alamosa over a decade ago to embrace the mountain lifestyle. 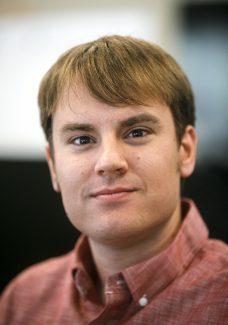 There, Geiger most recently worked as a reporter and award-winning photographer for the Valley Courier and was previously a freelance video game journalist for ZAM and GameSpot.